Dr. Ruchi entered amidst the counts of Aishwarya Nair, Rajshree Pathy and Radhika Roy marvelously in 2013. The founder and CEO of the HealthCursor, a mHealth recognized consulting firm has a PG degree in Health Care Entrepreneurship from Duke Fuqua School of Business and is also a Post Graduate in Preventive and Promotional Healthcare and with medical technology applied expertise. She has had 3 year experience as a Senior Business Consultant at Healthcare Consultant, also her 1 year endeavor as Vice President of Apollo Hospitals. Dr. Dass has a long list of experiences, none the less she is currently involved with ASHOKA changemakers and is in PMNCH mHealth/ICT Readiness Advisory Group under World Health Organization. The alliance triumphs over the use of mobile technologies to improve health throughout the world. It focuses on improving mHealth and integrating in various to enhance health conditions on a global level. It is a global strategy consulting firm that helps its clients to make informed decisions by their analytical rigor and deep industrial insight. The firm entertains clients from Europe, the Americas and Asia-Pacific. Healthcursor was founded in 2010 by Dr. Ruchi Dass, and today is also an exclusive knowledge partner to Confederation of Indian Industries (CII). It has seen an exponential growth in such a short time, although the credit goes to the entire team but even they nod to fact that this steep catapult of Healthcursor is majorly the acuity of their erudite leader, Dr. Dass. She is said to have a deep and impressive erudition in mHealth, eHealth and overall Health Technologies. She tends to have an amazing insight of upcoming trends that in turn has helped many organizations. “The really remarkable thing was her ability to see things from a patient’s perspective” as said by Ranjan Singh, founder and CEO CourseBrew. The statements gives off the approach of Ruchi Dass to the problems presented to her as the CEO of Healthcursor. She is the Innovation Leader to UN Commission on Life-Saving Commodities for Women and Children, Washington DC, USA and is also on the Panel of HIMSS Innovation Community for Asia and Europe. 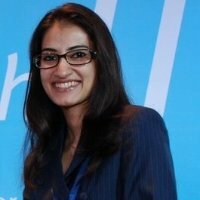 Dr Ruchi Dass is a judge to GSMA Global Mobile Awards 2011, 2012 and 2013. Also she is a part of the ICT4D team India and recently judged the most coveted “GSMA’s Best mHealth Innovation Awards 2012” in Barcelona, Spain identifying the excellence and innovation in mobile communications that can be of significance to Healthcare. Such milestones of her success are never-ending, she is a young visionary with a brilliant insight and inspiring passion. She had once said the following at end of the Crow-Rabbit story, although in a different context yet an amazing message: “To sit around and do nothing you have to be at the top.” And as it is said, “One has never seen the top.” Dr. V Ruchi Dass perfectly covets the gist of the two sayings (one, her own) and this truly makes her the Indian Woman Entrepreneur of the year.